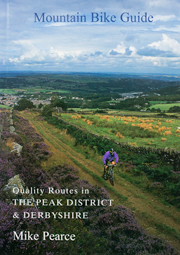 The Mountain Bike Guide - Quality Routes in The Peak District and Derbyshire - an off-road cycling guide. Please use the form below to send updates, comments or questions about the guide. Please do not send advertising. I will reply as soon as I am able. Your email address will not be used for marketing purposes or passed to any third parties. I hate spam as much as you do! I may contact you by email if I have any questions about your update or if you asked for a response. If the information you provide is an update to the ride information I may publish this information on this web site. If you would prefer your name not to appear alongside the update please indicate this in your email.